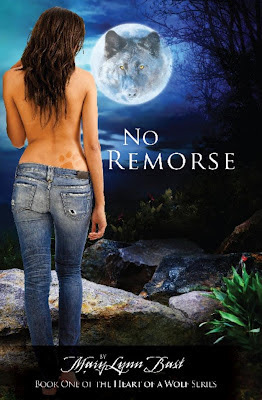 I first wrote No Remorse as a 5,000 word short story for a contest I was going to enter. Most books I have read about werewolves always seemed to feature the male characters and I wanted to be different by making my main character a woman and the struggles they face as a female in a male dominated world. I didn’t enter the contest, however, Amber kept calling to me to finish her story and it kind of morphed into what it is today. 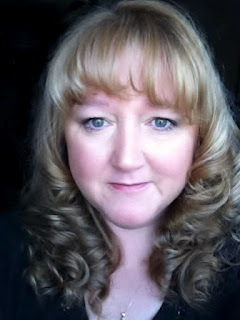 I have always loved writing romance and reading paranormal. I spent hours searching websites for the perfect pictures to catch my eye. I chose the artwork for No Remorse to represent the main character Amber and her freedom of being a werewolf in her natural form. She is not ashamed of her body and facing the moon, she is looking forward to her first shift into her werewolf form. The background with the forest represents her life spent out in the woods.